The Kobo Forma is certainly a feature-packed, stylish e-reader, but is it worth $280? Amazon may have recently refreshed a couple of its ultra-affordable Fire tablets, also expanding the popular Echo line of Alexa-controlled smart speakers, but instead of releasing any new e-readers, the company has chosen to discontinue the Kindle Voyage a couple of months back. Rakuten Kobo naturally sensed an opportunity to give last year’s upgraded Kindle Oasis a run for its money, unveiling a slightly larger and pricier Kobo Forma. This is actually billed as the “largest and lightest 8-inch display eReader” (not that there’s a lot of competition in that product category), somehow managing to weigh just 197 grams, or a measly 3 grams more than the 7-inch Kindle Oasis. Both the Kobo Forma and Kindle Oasis offer page-turn buttons as a tactile backup experience for those that would like to leave their screen untouched. But the new guy is also smoothly curved to improve the ergonomics and optimize the comfort of holding this surprisingly advanced device for hours on end. “Cutting-edge” Mobius display technology purportedly makes the 8-inch HD Carta E Ink screen feel “lighter than air”, while the no doubt impressive battery of the Kobo Forma is vaguely described as lasting “weeks” between charges. In addition to withstanding hard drops from “more than 2 meters”, the fancy new e-book reader is obviously waterproof as well, meeting IPX8 rating requirements which allow it to spend up to 60 minutes in 2 meters of water without suffering any type of damage. 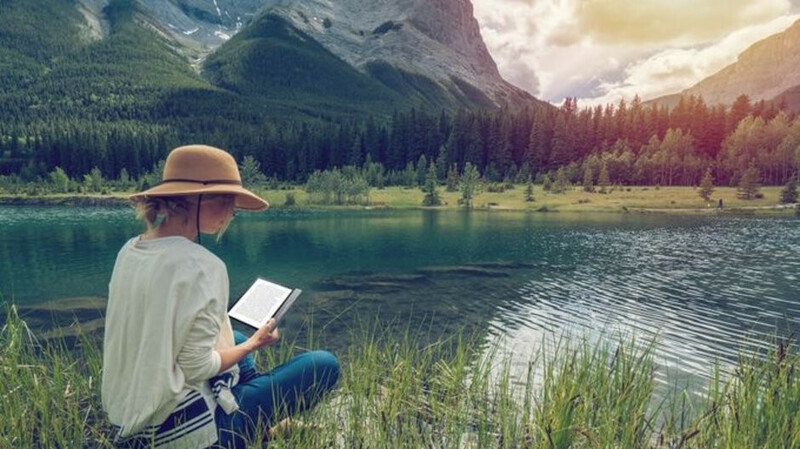 Overall, the Kobo Forma is arguably one of the world’s most feature-packed e-readers, also accommodating up to 6,000 e-books with 8GB internal storage space, but it remains to be seen if there’s a market for an inherently rudimentary gadget like this priced at a whopping $280. Pre-orders will be underway on October 16, with actual online and offline sales kicking off a week later across Canada, the US, the UK, Italy, the Netherlands, France, Japan, and Spain. What make this reader "feature-packed"? just IPX8 and backlit screen? IMO this thing should cost $80. Content is what matters. Nothing like high-performance but no material. This is exactly why Kindle dominates e-readers. Everyone else trying to make money off the device when it's the content that matters. Don't see restaurants saying here's the charge for forks, knives, spoons, plates, and cups; but the food is free.